Silver rounds are a common silver bullion option, but they’re often confused with silver coins and silver bars. It’s easy to buy and sell silver rounds and they make a reliable silver investment option that is easy to store at home. Learn about silver rounds and the difference between rounds, silver bars and silver coins before you start investing. Silver bars and silver rounds are both popular silver investments and easy ways for new investors to get into precious metals. 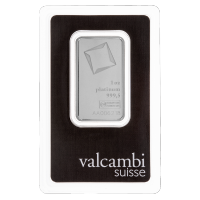 Silver bars and silver rounds are typically made with .999 purity and traded for closer to the spot silver price. Unlike silver bars, silver rounds are given unique designs, but they don’t sell for the same premiums that collectible silver coins do. In addition to popular silver rounds from Sunshine Minting and lines like American Landmarks and the Zombucks series, the Scottsdale Mint is a major private source for silver bullion products. Scottsdale rounds and silver bars are reputable silver bullion options made for investors. Silver coins are given face values, just like the nickels, dimes, and quarters in your change jar. 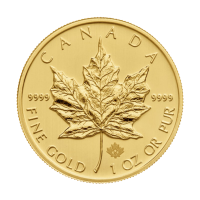 In the case of circulating currency, the face value is worth more than the copper-nickel alloys they’re made out of. 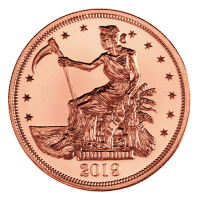 The coins are worth money because they’re backed by the government that minted them. 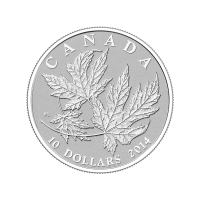 Silver coins are also given denominations; for example, the Canadian Silver Maple Leaf is minted with “5 Dollars” on the face, but with 1 oz of silver, it trades for far more at the silver price. Silver coins have an intrinsic value that’s higher than the face value, whereas the price of silver rounds is based on the spot silver price. Silver rounds are privately minted and have no face value. Private minting means some silver rounds come with unique designs ranging from designs based on the Chinese Zodiac to ideological messages. Silver rounds are made for investors and many think of rounds as silver bars in a round shape. 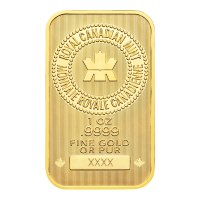 They mostly contain 1 oz of silver or less, called fractional silver. A silver round is worth the spot silver price along with a smaller premium than paid by investors for coins. 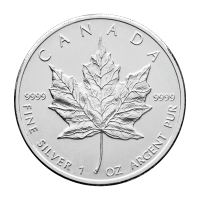 The cost of a silver round is based on the price of silver and will usually be a few dollars higher to cover the cost of production. The silver price, also known as the spot price, is determined by the international silver market. Many factors go into the silver price including silver mining, industrial demand, and demand from both private investors and governments buying silver bullion. The premium comes from the cost of minting, storing, and transporting and retailing silver rounds. It’s easy to save money on premiums when you buy silver online. 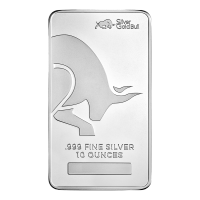 At Silver Gold Bull, you easily save by checking out limited time deals on silver or buying silver in large quantities. You can also qualify for free shipping on large orders. People who buy silver rounds are largely investors who want to diversify their portfolios with precious metals. Investing in silver is a long-term risk management strategy and a hedge against inflation. It’s safer to buy silver than keep your money in cash, which gradually loses value due to inflation. Silver rounds, like silver bars, are investment grade silver bullion products that are easy to exchange for the spot silver price. 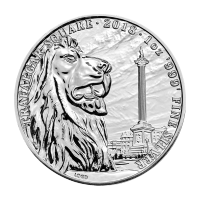 Buy silver online to save money on silver rounds and prepare your portfolio for anything.